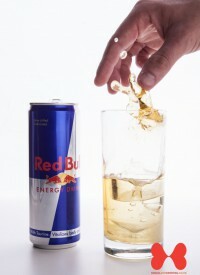 Energy Drinks are soft drinks advertised as boosting energy. 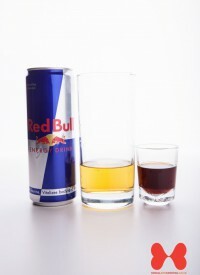 These drinks usually do not emphasize energy derived from the calories they contain, but rather through a choice of caffeine, vitamins, and herbal supplements the manufacturer has combined.Energy drinks are now a popular ingredient in many alcohol shooters, such as the Skittle Bomb, the Jager Bomb and the Glitter Bomb. 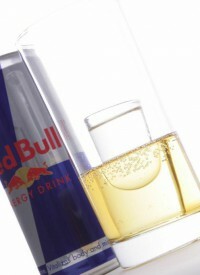 Several councils in Australia have banned Jager Bombs on the basis that they encourage irresponsible drinking. Colt 45 is also a brand of malt liquor introduced by National Brewing Company in the spring of 1963.